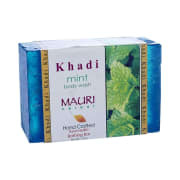 Khadi Mauri Herbal Mint Soap works as an antiseptic skin cleanser used to treat urticaria and pruritis. It also relives itchiness and irritation when used with moderation; otherwise, it may cause skin irritation. Infused with natural extracts, their herbal soaps are 100% chemical free and purely organic. Their herbal soaps promote nourishment to skin, fights body odour and refreshes skin. Bathing with their soaps will give you a refreshing and rejuvenating feeling throughout the day. They also have other personal care products like shampoos, conditioners, face wash, massage oils, hair oils etc. Khadi Mauri range of products is certified Khadi products. 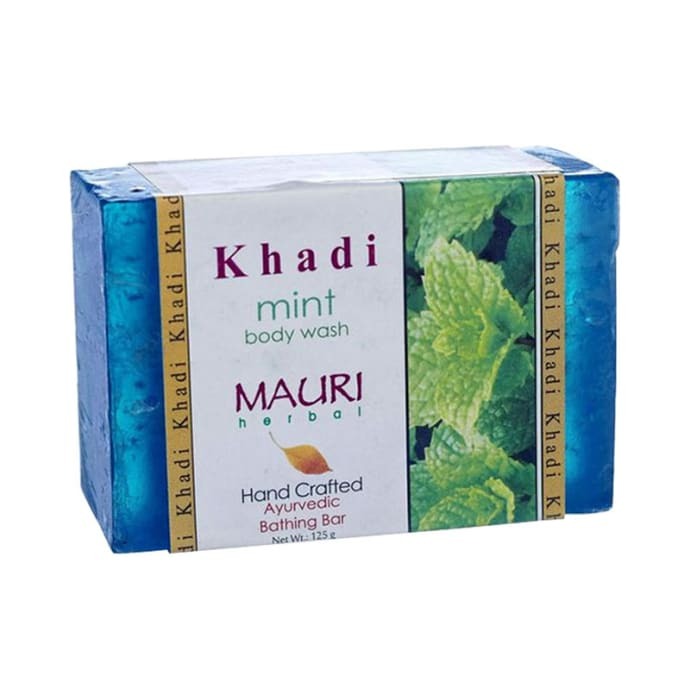 A licensed pharmacy from your nearest location will deliver Khadi Mauri Herbal Mint Soap. Once the pharmacy accepts your order, the details of the pharmacy will be shared with you. Acceptance of your order is based on the validity of your prescription and the availability of this medicine.